Despite being an organised person, the one thing I always find myself making excuses about is doing exercise. I do love exercise once I'm actually doing it, it's just the getting started part I'm not the best at. Hands up if you're with me? I've used the kids as my biggest excuse, but also being too tired, not having enough time, too much work, too expensive to join the gym, the weather being too hot/cold... It's a never-ending cycle of excuses! 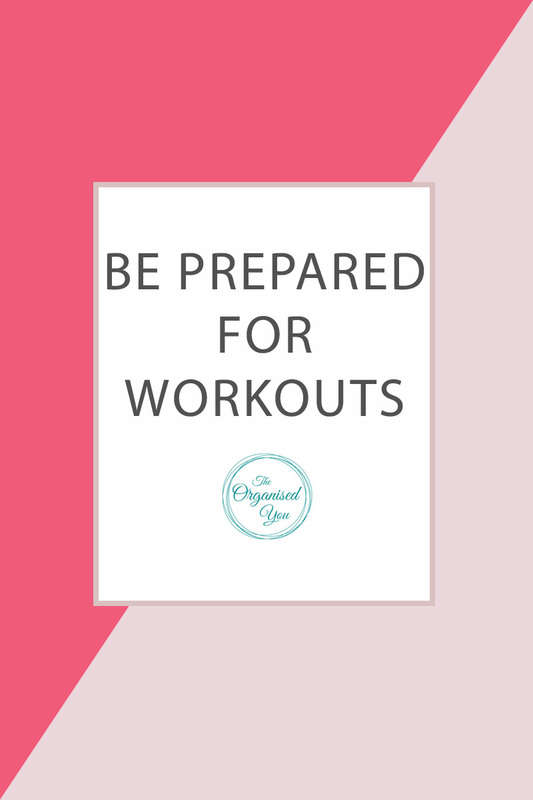 Here's how I changed my attitude and got more organised and prepared for workouts! About 8 months ago, I decided to change my attitude. I now aim go for a 40 minute power-walk/run 3-4 mornings a week before the kids wake up, and finally feel like it's a habit and part of my daily routine. I decided that mornings before the kids wake up would be the best time for exercise, but knew I would have to stealthily creep out the house to prevent them waking up too early (don't worry, my husband is home when I go for my walks!). This meant having all my gear ready to go so I wasn't stumbling around the bedroom looking for socks and shoes. I also find that if I'm prepared for exercise, I don't make as many excuses about actually getting it done. So I decided to prepare my box of gym clothes and keep it in the laundry cupboard ready to go! 3. 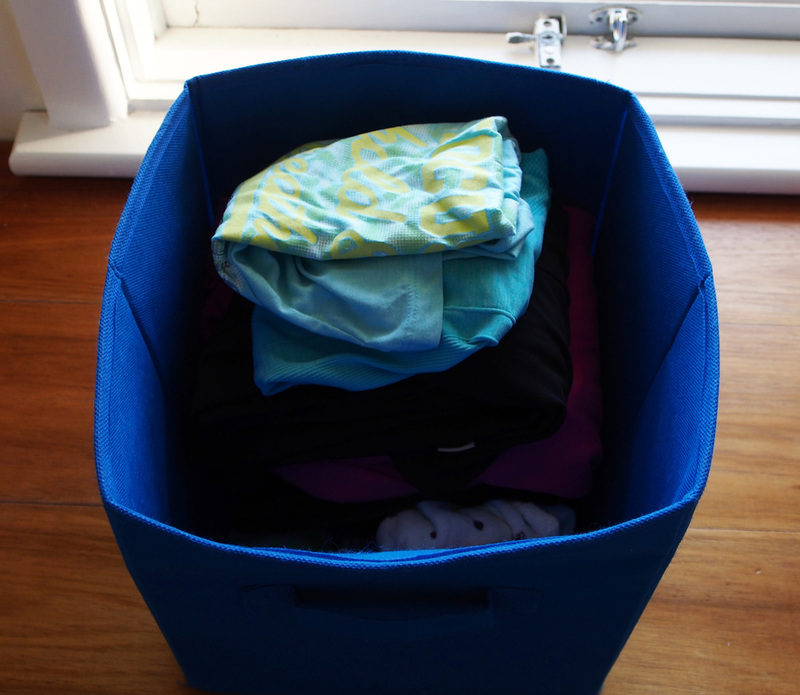 Having everything in the laundry means that when I finish exercising, I can throw dirty items straight into the laundry hampers, and put the rest back in the box ready to go for next time e.g. jacket, shoes, pants. It is freezing in the mornings at the moment, so I've also just added a couple of beanies. So fashionable! The box really does fit quite a lot inside. Plus it's easy to slide in and out of the cupboard using the handle. What tips could you share that help make exercise (especially during Winter) a bit more bearable? How do you get organised and motivated to stay fit? get your home organised... and keep it that way!